Our team leaders love VNC Connect because it’s easy to use and provides access to mission critical information from anywhere, without wasting precious time traveling to our headquarters. 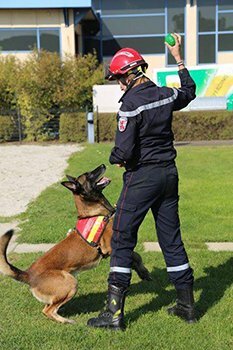 Founded in 1995, Groupe Cynotechnique is the oldest search and rescue canine team in Luxembourg. The non-profit organization counts 28 active members and is run entirely by dog owner volunteers who are responsible for training their dogs and participating in search and rescue missions. The team relies on agile, medium-sized dog breeds with a sharp sense of smell that are capable of tracking the scent of people who are lost or in critical situations. The dogs attend four-hour training sessions twice a week for two years before they become qualified search and rescue working dogs. Speed and coordination are vital for the success of search and rescue missions. Groupe Cynotechnique operates an emergency operation dashboard called “EinsatzMonitor”. This is used to access mission critical information such as incident location and number of victims, as well as the availability, skillset and current location of team members. Once the nature of the emergency is established, the team of volunteers receive a notification alert and can RSVP via an app. 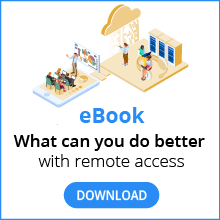 To organise and coordinate the interventions, senior team members needed a remote access software solution that connects to the operational dashboard running on a virtual server in a cloud server environment. The team had tried open source remote access solutions, which proved to be problematic and too unreliable to support their emergency interventions. Tech-savvy volunteer Dr. Yves Kreis had previous experience with RealVNC software and decided to start a trial of VNC Connect. A single license was enough to support the needs of the senior volunteers, who downloaded the free VNC viewer app to each of their personal tablets and could then connect to the dashboard at any time. VNC Connect proved easy to use and the team were pleased with the level of support provided by the documentation and the RealVNC Support Team. The software allows the group to manage and coordinate virtually, without wasting precious time travelling to their headquarters. The ability to organize the team in real-time - by knowing the availability of the working dogs and each volunteer’s skills and travel time - increases the efficiency of interventions. The time saved for operational preparation enables the team to reach the search location faster, providing vital help in time-critical situations. Groupe Cyno will use VNC Connect to orchestrate future missions. Recently, the software was invaluable in locating and rescuing a missing person, who was safely secured in an ambulance. As time goes on, VNC Connect will play its part in cutting response time even further.